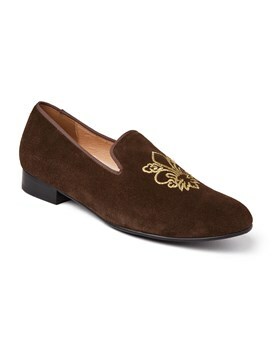 Morlands sheepskin slippers are the perfect accessory for any discerning gentleman. Our timeless collection of formal and casual sheepskin slippers in rich hues of Bordeaux, Navy, Mocca and Chestnut are the perfect way to add sophistication to your at home style. Morlands slippers are practical, functional and long lasting. 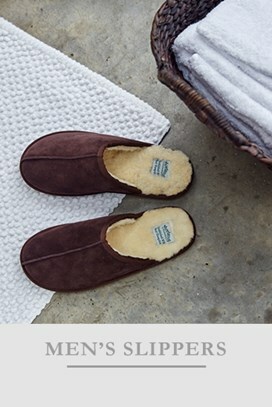 We believe that feeling good is important and Morlands men's sheepskin slippers are made from the finest quality sheepskin lining and leather and silky suede uppers, offering the ultimate in warmth and indulgence. Our high quality sheepskin promises to keen feet warm, cosy and wrapped in luxury. Synonymous with British heritage, traditional craftsmanship and timeless designs, Morlands has been producing high quality men’s sheepskin slippers since the 1800s and has been loved and trusted by generations. Traditional design techniques blended with contemporary design and manufacturing processes result in high end, sheepskin slippers that define the luxurious comfort of the brand. Rich in heritage, our classic collection of Morlands sheepskin slippers for men have continued to be respected and adored by our customers. Morlands signature collection includes styles Dunbar, Cromarty and Lauder that are produced using the ‘turnslipper’ method, where each slipper is made inside out. This technical manufacturing process ensures the final product of cloud-soft sheepskin and beautifully soft suede sole has a flawless and seamless finish. Our classic range of men's sheepskin slippers includes fully enclosed sheepskin slippers Dunbar - which features a subtle leather trim and suede covered heel and the Cromarty – with elasticated side gussets to enhance the perfect fit. Morlands beautifully crafted Lauder slipper is made from buttery-soft kid-leather and Morlands high-grade sheepskin lining. Morlands men’s sheepskin mule slipper and sheepskin loafer have a light-weight yet practical rubber sole, offering durability and making them wearable for some light outdoor use. The Morlands sheepskin mule is the perfect practical accessory to keep feet warm, cosy and protected in the winter and effortlessly cool in the summer. The latest addition to Morlands men’s sheepskin slipper collection is hybrid style Duke. This traditional men’s smoking slipper is crafted from Morlands luxurious, premium quality sheepskin and silky suede upper. The flexible rubber sole, regal inspired embroidery and small heel make this Morlands sheepskin slipper perfect for formal occasions and the perfect day to night sartorial style saviour. 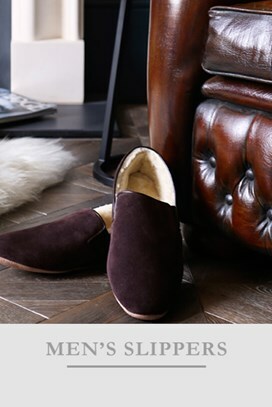 Morlands sheepskin slippers ensure you maintain a sophisticated step at all times, for the ultimate at home luxury.